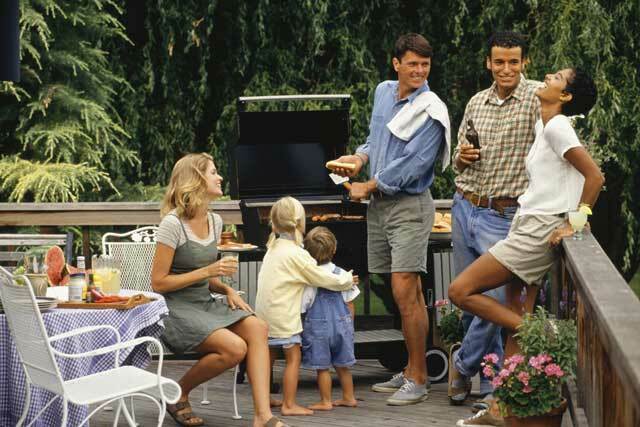 Warmer months are the perfect time to start looking for outdoor entertainment ideas. This is because more and more people are planning outdoor gatherings and are planning to entertain. This means good food and good people are around, and there are several different things you can do whether you are looking for themes to do or simple yet fun decorations to use. Some people even want to go far beyond having that basic BBQ and here are some of the more common and fabulous ideas that will take your next entertaining event and turn it to something that will not be forgotten. These are great for casual get togethers with friends and relatives as well. These are great for casual conversation and being outdoors in the backyard. If you want to put a twist on it, have it at the local beach or in a park. You can choose summer colors for decorations such as red and white checkers, or blue and white checkers. Whatever you refer will work, and maybe consider making eggplant, Greek salad, pork chops, fish, or even Jamaican chicken. Camping is always a great outdoor activity among people of all ages. You don’t even need to head to the woods, because you can camp in your backyard. This is also a good idea if you are thinking of getting into camping and you want to test out all of your new camping equipment. You can either make a fire or buy a fire pit if you don’t already own one. These can be found for under $100 and are a great alternative to making fires. You can all sit around your fire and roast hot dogs, and make S’mores. You can talk about fun times or even tell ghost stories. Perhaps one of the most famous types of outdoor entertaining ideas is with a dinner party with cocktails. Determine a cocktail that everyone enjoys and one that is not going to cost a lot of money to make. A great one for summer nights is mojitos. These are great minty drinks and are rather refreshing. Choose a genre of music and you can even hire a bartender and have an open bar for your cocktail party. If you have some neighbors that don’t mind, one of the most unique entertaining ideas is to re-create a movie theatre drive in. You of course should have a nice sized back yard in order for this to work effectively. You can find a variety of companies that will rent you the equipment you need. This is going to include your screen as well as a projector and even a popcorn machine. You should tell all of your guests to bring blankets or even lawn chairs; whatever makes them more comfortable. Consider adding some sophistication to your traditional dinner party. Take things up a notch and add some personalized place settings and have everyone dress up. Men wear suits or other ensemble with a black tie, and women wear black r white, or even a mixture of both. Consider getting fresh flowers for a centerpiece and place them in empty glass bottles or vases. Serving champagne or wine are great cocktails to choose from. This is something similar to Christmas. This is a time when the sun stays out longer and that means people can stay outside to enjoy the sun and the light. You can choose to serve salmon that is cured with sugar, salt, and even dill. You can serve it with a side of honey mustard as well. As another main entrée, consider serving miniature meatballs in a ligonberry sauce. You should consider serving something such as Vodka and toast to the summer. Outdoor entertaining ideas are not hard and go no further than your own backyard. Consider letting your imagination run wild and see what you come up with.